The final numbers are in from my book blitz! The promo was featuring Got Mine at a discounted price of $.99 (from $2.99). Got Mine was sitting at about 499,000 before the promo. It made it down to #345 in the Kindle Paid Store. Cause hindsight is 20/20: I should’ve removed the book from KDP because the pages read on KU do not count towards actual book sales. During the promo/blitz I had 44,823 pages read. Those pages could’ve been actual sales, that could’ve gotten me closer to a best seller’s list. But it is what it is. I will most likely break even for this promo once all the royalties are calculated but I’m still getting sales on Nook, iBooks and Kobo as well as Amazon. I gained followers on my author page and members in my group. So far, I have one new Amazon review. Even though I didn’t make a best seller list, I think the blitz was a success. Adding the Facebook ads probably didn’t equate to a lot of sales; however, it did put my book in front of some new faces. I had friends posting screenshots of the ad showing up on all kinds of platforms. It also drew attention to my author page. Maybe the next time I run an ad, it will land on a page of someone who has seen this ad, and they’ll remember me and buy my book. In my opinion, the main value of a FB ad is to generate buzz, not sales. Starting my promo a few days BEFORE the BookBub Deal would’ve helped boost my rating and sales. I wish I could’ve gotten the Robin Reads feature a few days earlier. I’m not that organized. USA today counts sales from Monday-Sunday. Starting a promo on a Monday and running it a full week would’ve given me a better shot. The Book Blitz might have been overkill. They’ve worked for me in the past, but I don’t think this blitz added anything to my already running FB ads. Fun Fact: profit from selling one book in India was $18.98! My day is December 5th! Make sure you visit my Facebook Author Page! After you visit, make sure you enter the giveaway. We have signed paperbacks, ebooks, advanced copies, and gift cards too! 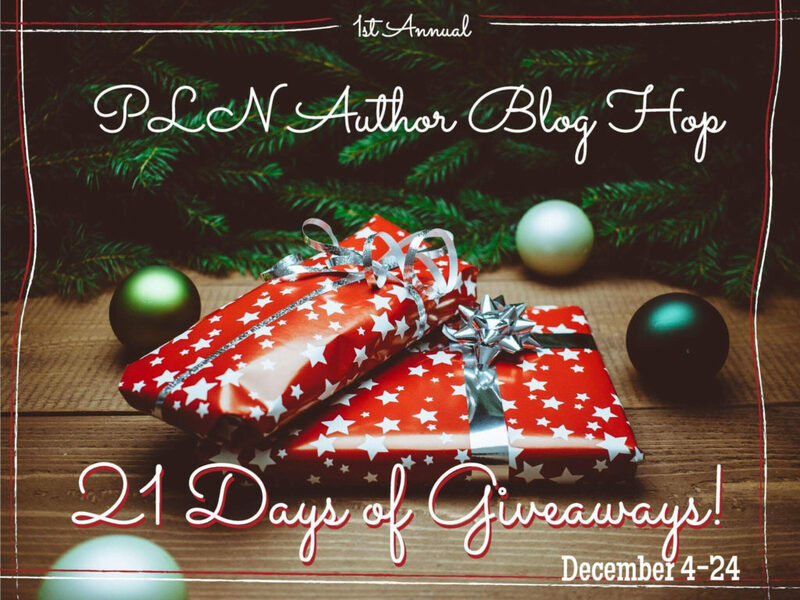 The blog hop runs from December 4th – December 24th and winners will be picked and notified after the holidays, so be on the lookout. You can follow along the blog hop below by clicking on the author’s name. Have fun exploring, commenting on the different pages—we look forward to chatting with you!